As the National Disability Insurance Scheme becomes the new funding model for people with disability in Australia, DADAA will be implementing fees for its workshops and programs. For many years, DADAA has been given annual funding from Disability, Mental Health and Health State Government departments to run arts workshops. Slowly this is changing. The staged roll-out of the National Disability Insurance Scheme (NDIS) means funding will no longer be given to organisations like ours. Instead, it will be given directly to individuals like you. To receive payment for your placement in a workshop, DADAA will now charge fees for each individual who attends workshops. This will pay for the studio time, the artists who run the workshops and any administration required. An additional $50 term fee for materials. 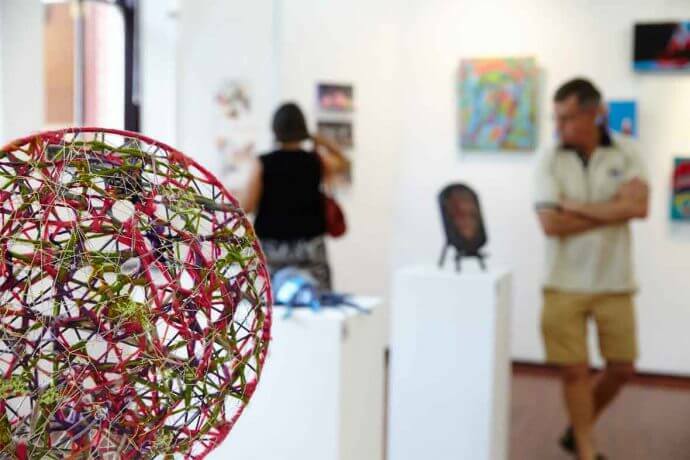 Some of DADAA’s participants and artists are already receiving HaCC, NDIS or WA NDIS funding, and have chosen to use support funds to continue at DADAA. If you are new to DADAA and have HaCC, NDIS or WA NDIS funding, then you can request that DADAA be written into your support plan and use that allocated funding to pay your fees at DADAA. If you would like to find out if you are eligible for HaCC, NDIS or WA NDIS funding, then visit www.ndis.gov.au to find out more. If you do not yet receive HaCC, NDIS or WA NDIS funding, or you are ineligible to do so, then fees will be set at the subsidised rate of $250.00 per term ($25 per 2–3 hour workshop), which includes materials. DADAA recognises that some people may have difficulty paying fees and will provide a limited number of one-off term-based fee waivers to assist people in attending workshops. To speak to a DADAA staff member about your support or connecting with the NDIS or WA NDIS, phone DADAA Midland on (08) 9250 7633.